The thousand dollar price point is important for prospective mountain bike riders. Many of the pros and enthusiasts tend to utilize bikes that come in at higher dollar values, but those that hover around (and sometimes far below) the $1k level tend to be great for beginners. These bikes tend to have all of the features that are typically perfect for someone who isn’t quite sure that they’ll be fully entering the sport of mountain biking. With that in mind, let’s take a look at some great, sub-$1000 bikes for new mountain bikers. Some fold, some have exceptionally strong construction, and some even have larger wheels, but all are great starter bikes. 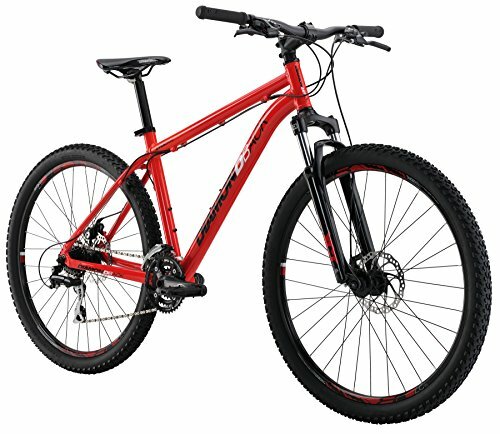 Hard tail bikes have been on the market for well over a century, and Diamondback’s Overdrive series of mountain bikes uses this technology to provide a great ride at a great value for beginners. Outside of its hard tail design, this mountain bike also uses a unique construction in its design. The bike itself is comprised of budded and shaped aluminum tubing that’s hollow. This ensures that it’s light and sturdy simultaneously. 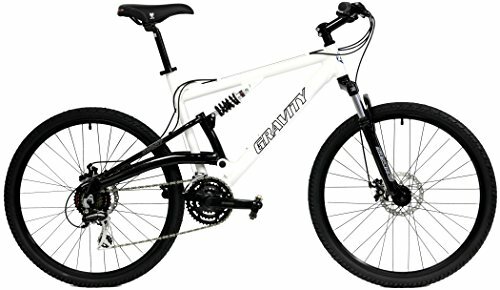 The tubes are angled and amazingly thin, so that you have a very responsive ride with this mountain bike. In addition to this mountain-friendly construction, this bike has a Shimano three by eight rear drive train that will ensure that your ride is smooth and comfortable; even on hard terrain. Our second bike, which is also a Diamondback mountain unit, utilizes a single pivot suspension system that makes it perfect for rough terrain and even moderate jumps. It has relatively thick 27.5 inch wheels that are designed to be able to provide a bit of padding while you navigate the trails. 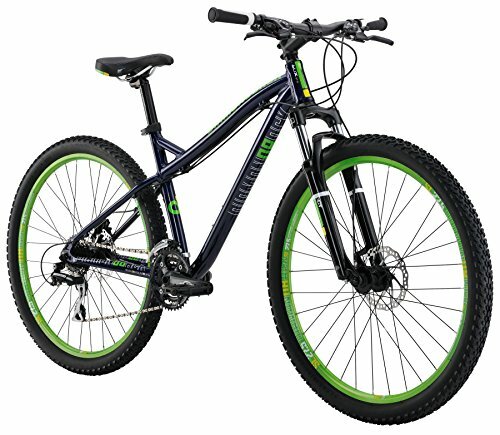 If you are new to mountain biking, this is a great entry-level full suspension unit that’ll help you get used to this type of riding. Like the previous Diamondback unit, these tubes are formed and exceptionally sturdy. It also has a similar three by eight Shimano drive train in the rear. On top of this, Diamondback utilized a neutral geometry in this bike series, so that ascending and descending are relatively easy. Our next Diamondback bike is designed with women in mind. Since women are typically shorter and have longer legs, it’s only sensible that some mountain bikes that are designed for men might not be as effective. 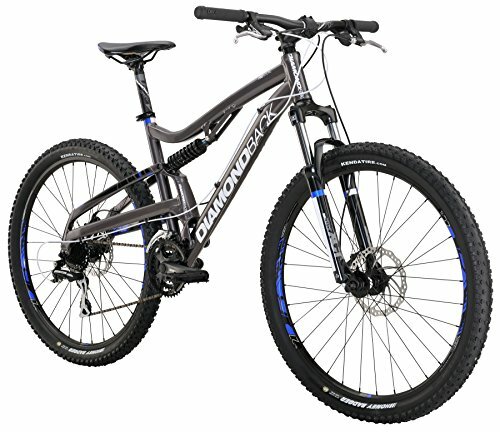 Considering the statistical shape of women, Diamondback designed this bike to be easier to mount, and actually is designed for a shorter reach. With all this in mind, the manufacturer also designed this bike to be hard tail, so that it’s road-friendly and easy to maneuver. The tubing on this bike is comprised of strong, yet light formed alloy. Amazingly, the company even designed the touch points of this bike with women in mind. Wherever your body typically comes in contact with the bike is a touch point, so the areas around the seat, pedals, and grips are all designed with women in mind. 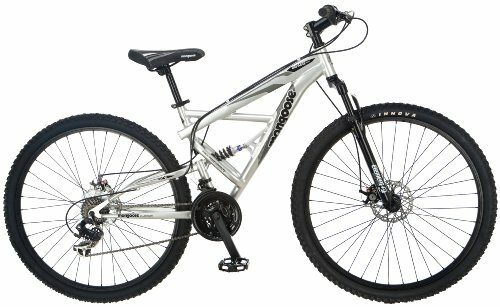 As a full suspension bike, the Mongoose Impasse is great for beginners who are just starting out on their first few mountain trails. The composition of this bike is aluminum, so that the product is light yet sturdy enough to take the constant dings that can happen during mountain biking. As you’ll be changing gears a lot on a trail, this Impasse bike utilizes a 21 speed Shimano rear derailleur with SRAM twist shifters, so that you’ll be able to maneuver and adjust. The suspension on this bike is designed to reduce the impact of bumps and even some decent jumps. You’ll also find that this bike is very easy control. With this bike you’ll have exceptional functionality, for a very low price point. For the beginner mountain biker, the sport can be something that takes a while to commit to. With this in mind, Montague designed the Paratrooper so that you can take it on the road and fold it up for convenience. When deployed, the bike is relatively small, but still very capable of handling rugged mountain terrain. It only weighs about 29 pounds, which is getting down into the fixie bike weight range, so carrying it while folded is a relatively easy process. When it comes to mountain bike features, this foldable bike has several that make it eligible for our “best of” list. 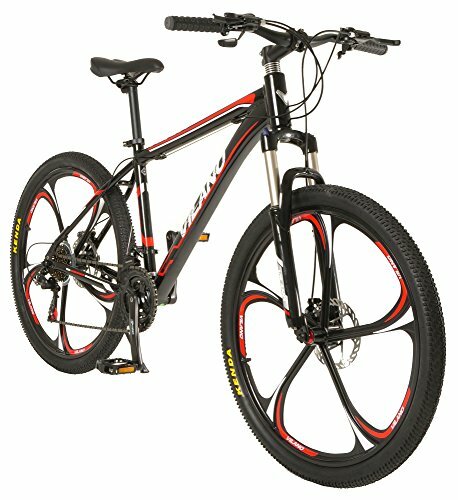 First, it has a 24 speed drive train that is great for mountain biking. In addition to this, it uses both front and rear disc brakes, so that you’ll be able to stop on a dime. It even features full suspension, so that you’ll be able to travel over rough terrain without too much discomfort. As a full suspension mountain bike, this Gravity FSX has a bevy of features that are perfect for the beginner mountain biker. First among these is the safety features. 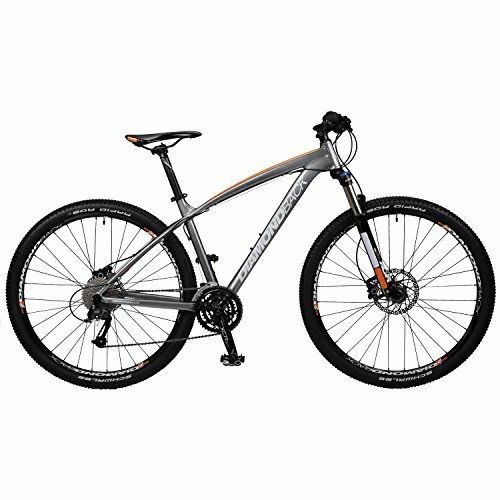 This bike has excellent front and rear disc brakes that will help you stop quickly, especially in emergency situations. These are also perfect for controlling your ascent or descent when you are riding on a rocky trail. The entry-level dual suspension that is featured on this bike is perfect for loose terrain and rocky outcrops. In addition to this, this bike also features 24 speed gear shifts, which is the current maximum speed on the market today. The Shimano drive train is responsive and easy to control, even at high speeds. Our final Diamondback bike is another in the Overdrive series of mountain performers. This bike is hard tailed and features several great additions to the Overdrive series. These include tetra-hydraulic disc brakes that are some of the most responsive on the market currently. In addition to this, there is a lockout lever on the four inch fork that makes climbing up flats a more efficient process. 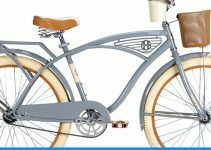 The composition of this bike features some of the great Overdrive features including the hollow budded and shaped aluminum tubing, which makes the device lightweight and sturdy. Shifting is also a cinch with Shimano Altus shifters and a Shimano Acera rear derailleur that provides 27 shifting options. In addition to all this, this bike features large-diameter wheels that help absorb some of the impact of the trail. Vilano has produced some of the best trail-worthy mountain bikes in the last decade. Their Ridge 2.0 series of bikes have all of the features a beginner needs in order to get out on the trail and acquire the experience needed to become adept at mountain biking. Firstly, this is a light bike. It’s comprised of double butted aluminum that is strong enough to take the biggest hits, but only weighs about 41 pounds in totality. The four inch suspension fork also features a lockout lever system that will allow you to easily manage terrains that would be difficult for other mountain bikes. For maximum control and stopping, this Vilano bike also features mechanical disc brakes that’ll help you stop nearly instantaneously. Mongoose, a formerly retail only brand, has now branched into the direct to consumer market. The first thing that a neophyte mountain biker might notice about this unit is the fact that this has fat tires. Fat tire bikes allow for more impact resistance and in conjunction with this bike’s excellent suspension. One of the standout features of this bike is its Shimano SLX front and rear derailleurs that offer ten speed options. This is also a very light bike; it only weighs about 35 pounds. Mongoose utilized an alloy frame with 93mm rims with cutouts in order to cut down on overall weight. 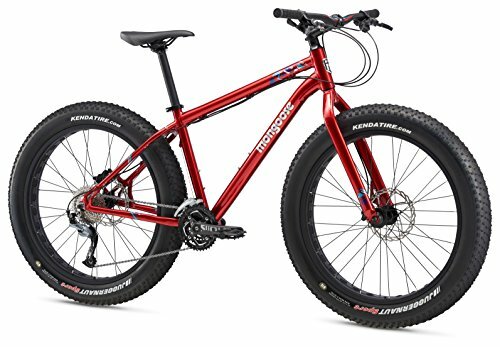 The four inch Vee Mission tires are thick and springy enough for most terrains and the disc brakes will provide excellent stopping power for this fat bike. Our final mountain bike has design accents that were clearly designed for new mountain bikers who want to own a unit that also has aesthetics in mind. 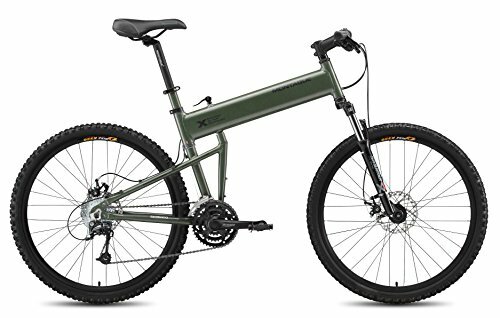 It has an aluminum frame that is somewhat heavy, but also sturdy enough to take some of the big falls that sometimes come with off-trail biking. This is a great bike for general riding, but it definitely has some mountain/trail-friendly construction that’ll help you cut your teeth in the sport. The front suspension is a Cromoly Rigid 1 1/8″ that will absorb a lot of impact and provide a smooth ride. The brakes are front forged alloy linear pull with a front power modulator, which gives you great control, especially when you need to stop suddenly. We have loads of really useful buying guides when it comes to bike. 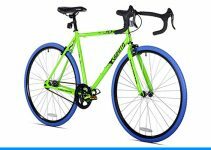 So if you’re looking for other types of bike and accessories, then please have a look at the links below. 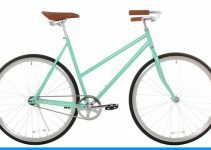 10 Best Cruiser Bikes 2019 – There’s Nothing Like A Cruise On One Of These Awesome Bicycles.